Today, I was saddened to have a friend who sends pro-Trump emails unsubscribe to my newsletters after a couple of years reading them and I suspect that it may have to do with this seemingly pro-Sanders blog post that I did regarding the inevitability of his nomination. To atone for my sins of merely reporting what I see (I called it class warfare and demagoguery, by the way), I will don my Ayn Rand/Plato’s Republican hats and argue the case against democracy. 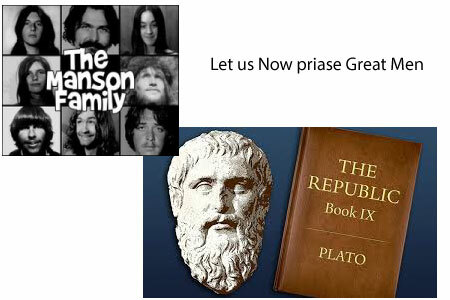 According to the ‘great man theory’ of Plato and Rand, there are certain men who are more equal by virtue of intelligence, ruthlessness, aspiration, and predestination who rightly should rule the masses like philosopher-kings, übermenschen, or ‘Gordon Geckos’. Even in the birthplace of democracy, the Greek city states, only the rich men were permitted to vote. In the early American empire, women and slaves did not have the franchise. 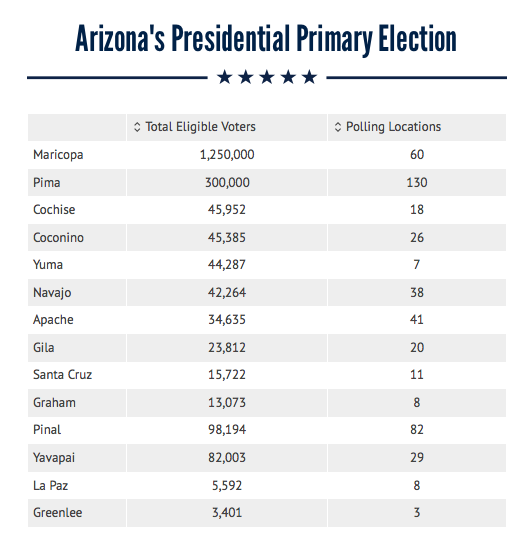 And in yesterday’s primary in Arizona, the poor and Latino were suppressed by having a ratio of 21,000 to one polling place resulting in 5 hours waits in Maricopa County. It is right and just if you consider that in any civilized society, the elite who rule in their own interests also are best able to determine the interests of their children: the poor, less educated, and unsophisticated masses who might have their own ‘minority’ agendas. Especially concerning would be if a demographically growing population like Latinos, who comprise more than 30% of the population in Arizona, were to exercise their right to vote. At least Maricopa County Recorder, Helen Purcell, admitted she made an oopsie so, no harm, no foul to the people who waited 5 hours after the elections were already called to exercise their vote. How cute is it that those folks thought they should wait that long for something that made no difference! Seems like a pretty sound argument against one person, one vote, and proves my point that only the fittest should be allowed to rule. The “Tyranny of Democracy” would be like allowing small children to decide what do do with time, money, and educational priorities in a family. If you were to let your children decide, then every vacation would be to Disneyland, family resources might be spent on toys and ice cream, and they might never go to school. Because poor people outnumber the ‘better’ people who are in control of the media, society, economy, and future of the nation, we cannot afford a true democracy to ever take root and should consider revolutions, whether political or institutional, to be a natural enemy of order and progress. Think of the consequences if the lower 98% decided that corporations and the wealthy need to pay taxes at progressive rates instead of expatriating their capital. The poor might childishly decide to spend their taxes on themselves for health care and education instead of military and foreign aid spending. But what right do ordinary people have to influence the policies of the men who have the advantage of better breeding, greater sophistication, and experience of worldly matters? The Divine Right of Kings applies in the case of voter suppression as we certainly can’t have children decide what is best for the family and the only hope for stability lies in a powerful ruling class and a distracted and disenfranchised mass of plebs. Even the real life Gordon Gecko, Asher Edelman, recently praised Bernie Sanders in a recent cognitively dissonant interview on CNN Money. Perhaps this is a sign that the ultra-wealthy are starting to realize, unlike my unsubscribing friend, that even if they amass great wealth and transfer it, great men can’t keep building luxury tree houses from the lumber below. The trick for the oligarchs to engineer is how to change their tune of trickle-down economics without seeming like Socialists. But if the Chinese Communist Party can introduce capitalism under the sheep’s clothing of Communism, then I’m sure our great leaders can sell us a cycle of bottom-up economics will be great for the private sector as they can offer works projects, education, health care, and investments to people who are given a guaranteed basic income. The Russians tried their brand for 70 years and failed. The Chinese have changed the formula because Socialism cannot work for long. Obama has spent us into oblivion trying to implement his brand. Bernie will do the same. There is no doubt our economic system needs change but it will not survive by turning to socialism in the nature of Bernie and class warfare.